SAMPLES OF THE MOST POPULAR FLAVORS TO TRY!!! if you are looking for the best Hangsen flavors, we have a small amount of stock here for you to test. Genuine Dekang E-liquid bottled and direct from the factory. Completely fresh and brand new! 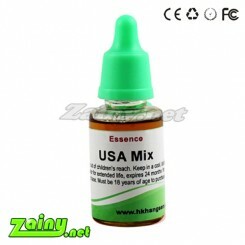 Genuine Hangsen E-liquid Bottled in the factory at wholesale prices. FeelLife invested in the highest-grade packaging to make sure that our liquids are delivered in a safe manner. and each bottle is individually shrink-wrapped to prevent leakage in transport. We think it's important to make sure that you get every drop safely and securely to enhance your vaping experiences.